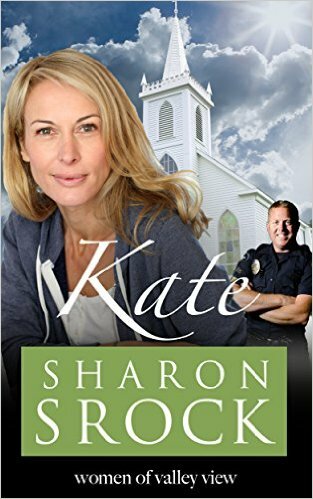 Reading Sharon Srock’s books is like hanging out with old friends. I’ve yet to be disappointed by one of her books and Kate is no exception. I could not wait to dive into this book and loved it from start to finish. Keeping with the Women of Valley View Series, Kate is a story of heartbreak turned into new love. Kate has known true love, but she’s also known devastating heart break. Her first husband stole her heart but shortly after their marriage, he is killed during his tour of duty with the military. His death leaves her a widow with a baby. It takes many years for her to love again and when she does, Allen is the one. After a terminal illness takes him from her life, Kate accepts her fate to live alone…until Nicolas Black comes into her life. Despite her reservation to keep away from romance, Kate finds herself head over heels in love. But Nicolas holds a key to Kate’s past that even he doesn’t realize. When he makes the connection, he knows the risk he takes in revealing it. I loved the characters (as always) and especially loved Melanie and Tyler as they swam through expectations over their marriage. The story was great about showing how our lives impact others and how we need to be willing to step out of our own comfort zones to speak into another’s heart. Overall, Kate gets five out of five stars and I’m pleased to add her to my collection of Women of Valley View books. Kate is Book Five in the Women of Valley View Series, however, one of the best parts of this series is that the books don’t have to be read in any particular order and can serve easily as stand alone stories.